How many times have you been out for 5 minutes before they made a mess of the outfit you've got them in?!? 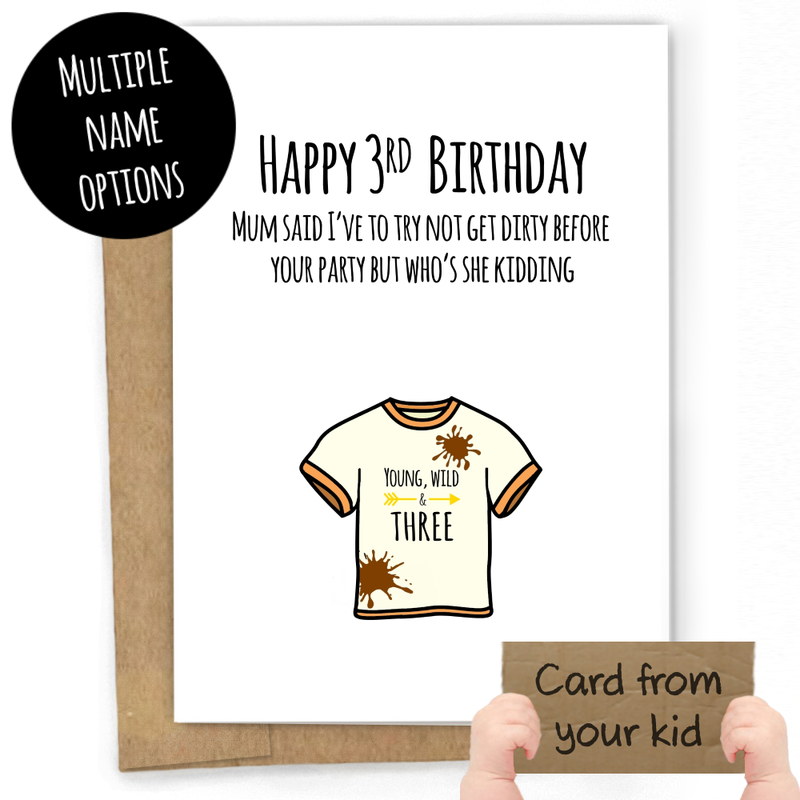 By a card that says what every parent will be thinking at the party. Blank on the inside.